Engagement rings show the aesthetic value of a relationship between two lives. They come in various shapes and sizes. Rings look beautiful and royal, something women always cherish as they mark the beginning of a lovely relationship. Upper class segment always has and flaunts the most expensive and stunning engagement rings. These rings are generally pricey as their brands are known for the quality and design. So here are top world’s most expensive engagement rings for you if prize and size do not matter! 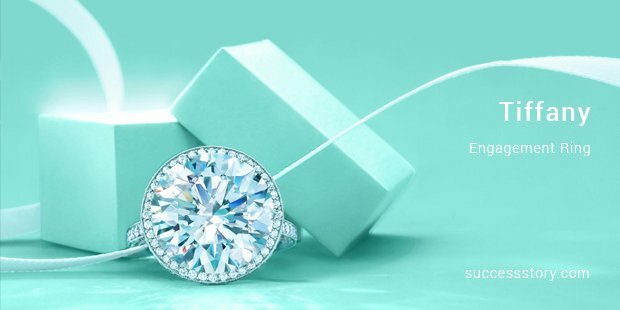 Tiffany ranks first in the list when it comes to engagement rings. 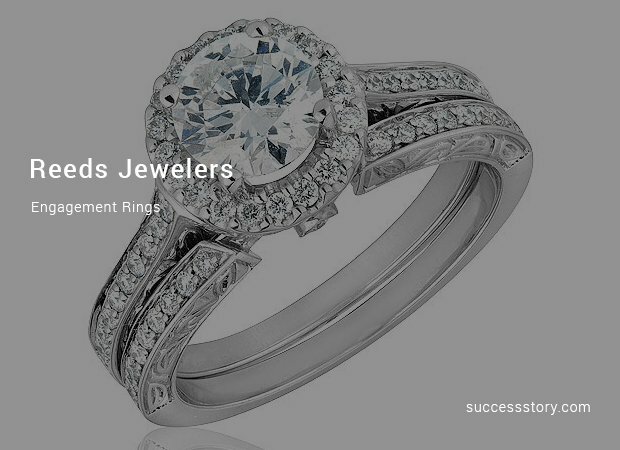 They are the most trusted jewelry brands in the world. They are known for their unique designs and exquisite collection. Also, the company is known for its widespread catalogue which gives the other brands a promising competition. 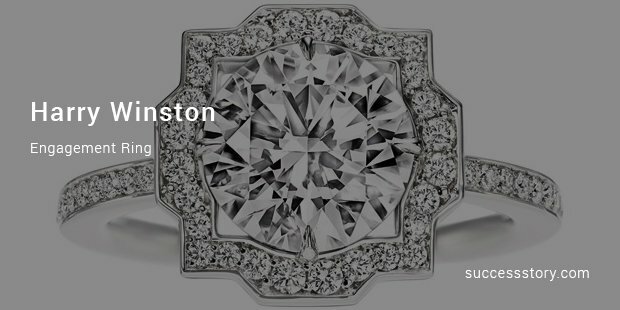 The exclusive and expensive engagement rings come under popular Harry Winston. This brand is quite known for stylish and best quality stones. Also the carat dimensions are large, so only elite segment could afford to make a purchase. 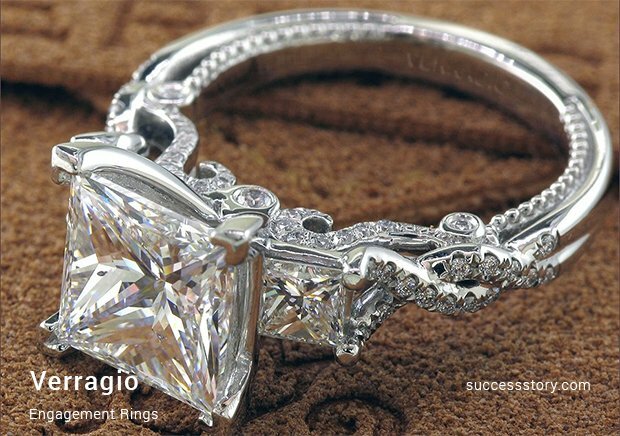 Tacori presents engagement rings in European style. The ring band is done with focus on attention to detail factor. Good design and best quality is properly blended together to create Tacori. The prices are also reasonable and compliment the quality. Cartier was formed in France in the year 1847. The excellence and style is what Cartier is known for. The brand is worldwide famous and had been making beautiful jewelry since many years. It has wide range of coveted styles and gives one a feel of a Hollywood star. 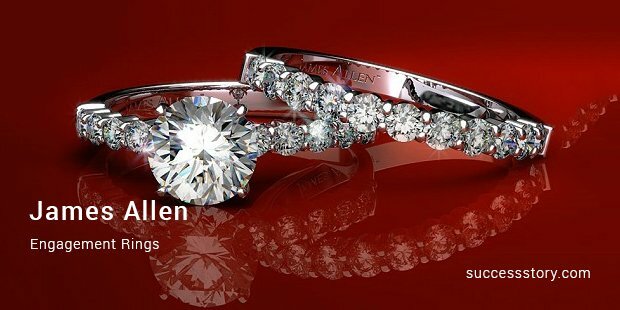 James Allen offer outstanding collection of engagement rings. 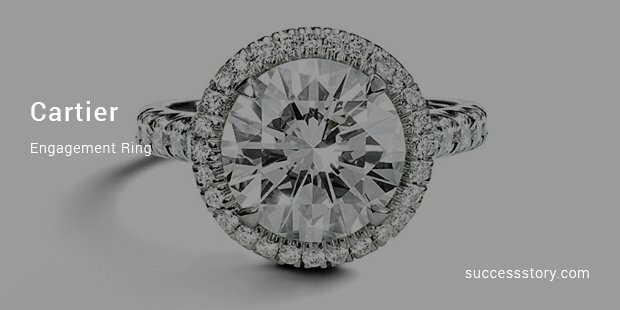 This group has the best choices available and also the technology which lets customers who purchase online see the real pictures of diamonds and stones. The designs are unique and give the customer value for money. This prestigious jewelry line is categorized into five unique collections. They are Venetian, Insignia, Classico, Couture, and Paradiso. All these five collections major in bridal jewelry and give customer best quality stones. The distinct design is quite popular and has been seen majorly in fashion magazines. Reeds is a Uniited States based jewelry brand founded in 1946. 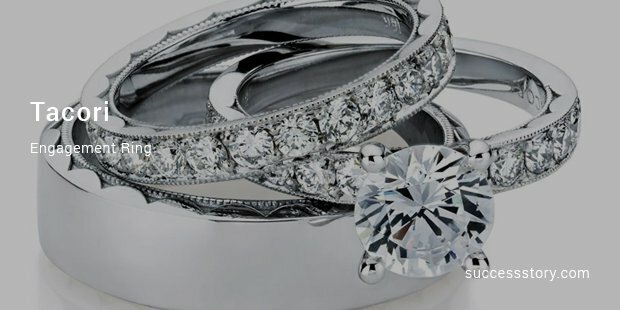 Reeds excels in bridal jewelry line and promises assured customer satisfaction. The assortment has been available in different price ranges. The group is known for its quality stones and treats every customer with due respect. This brand is another treasure in the Jewelry segment. 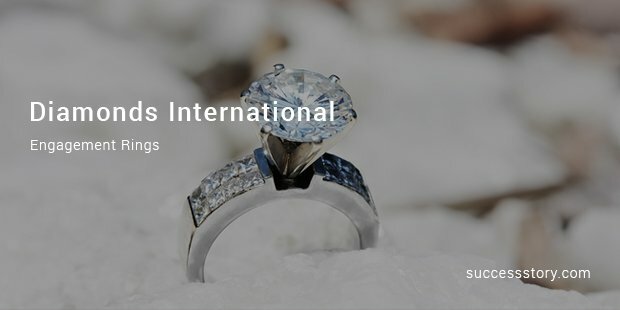 Diamonds International are the makers of precious and finest gemstones and take great pride in their design and collections. This is what makes them to appear in the expensive ring band list. 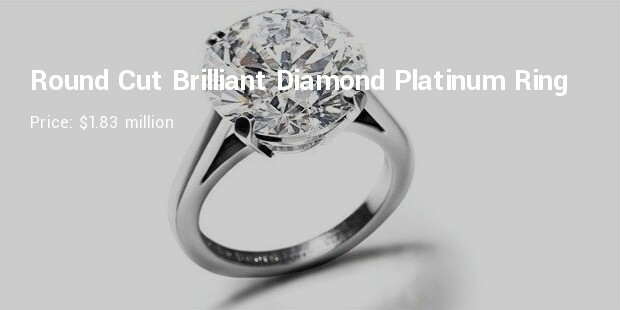 This brilliantly cutting diamond comes from the branded company De Beers. The ring features diamond stone weighing nine carats. The ring has been rated as D grade and is considered as desirable color grade rating. This is highly rated ring in the world. 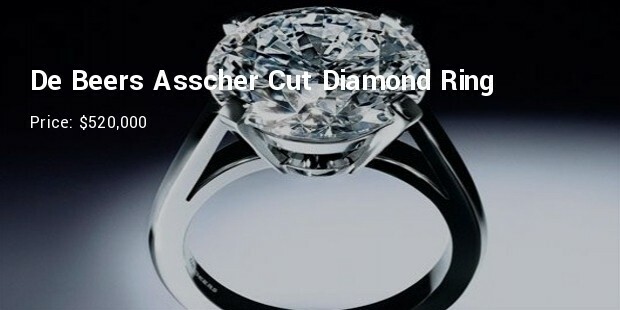 This Asscher diamond cut ring is designed by Luxemburg based diamond trader called De Beers. The ring features only a stone that weighs four carats. Many celebrities including Reese Witherspoon and Philippe have worn earlier. It is still the most expensive ring in the world. Rings are works of art and always being cherished for their sacred matrimonial value. They have always been appreciated by women and substantially convey love and affection of the opposite person who has picked it for her. Exquisite or simple, rings show a man’s gesture for his woman who is waiting to be popped with that life changing question.